If you’ve looked at any paint sprayers, you’ve noticed that the Graco brand is one of the most popular in the market. They are efficient and quite effective at helping you save time. Old-fashioned brushes and rollers are the slowest options. Ready to take a consider buying one of the best paint sprayers on the market? Read through these Graco paint sprayer reviews first! Read through these Graco paint sprayer reviews first! 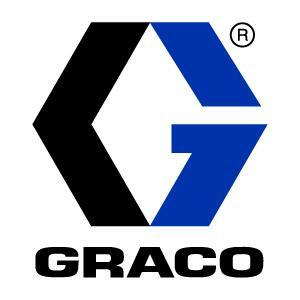 Why Is Graco A Leader In The Industry? What Can A Graco Paint Sprayer Be Used For? Which Graco Paint Sprayer Will You Choose? Do-it-yourselfers, painting professionals, and contractors across the world trust the Graco name and so should you! Since 1926, Graco has been the leader in fluid handling systems and components. Graco sprayers and the accessories have become industry leaders in technology and innovation. Did you know that over 85% of professional painters currently choose a Graco sprayer as their top brand? Whether you are just starting out on some home improvement tasks or you want to paint professionally, there is a Graco model that is right for you. I will help you find the model that will best suit your needs. 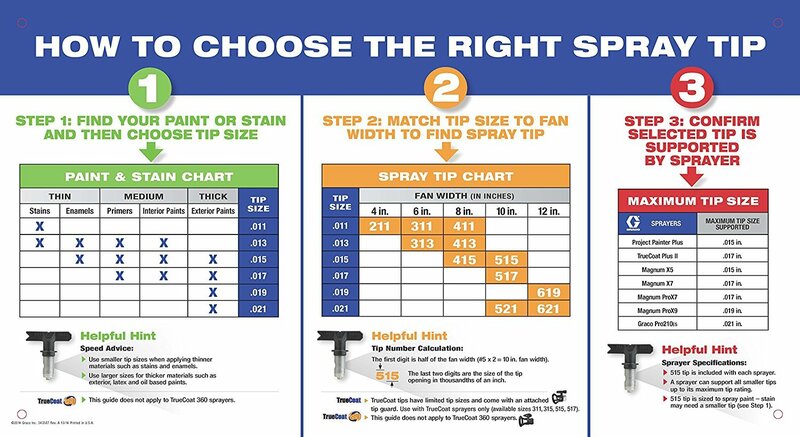 Your first step in finding the right sprayer will be determining which kind is best for your projects. There are several different types of Graco paint sprayers currently on the market. They are mostly known for their high quality, electric, airless range of spray guns. Let’s take a look at each one so you can make the best decision for your jobs. An airless paint sprayer will allow you to pump out paint and other materials at a high pressure, normally up to 3,000 PSI. The tip of the spray gun breaks up the paint into tiny droplets which will allow the material to lay on the surface through a fan-shaped spray pattern. Graco Airless Paint Sprayers offer stainless steel piston pumps and a flexible suction tube. This allows you to pull paint directly from your 1 or 5-gallon paint bucket. Another handy feature they offer is the PowerFlush Adapter so you can connect your garden hose to the unit after painting for easy cleanup. The most recommended Graco Airless Paint Sprayer has been the Graco Magnum 262800 X5 Stand Airless Paint Sprayer. Some other great models to check into would be the Graco Magnum 262805 X7 Cart Airless Paint Sprayer and the Graco Magnum 257025 Project Painter Plus Paint Sprayer. Designed to work on smaller projects, an electric handheld paint sprayer is going to allow you the flexibility and versatility of a portable sprayer. They are lightweight and work well when painting objects such as ceilings, garage doors, furniture, cabinets, and decks. One of the best electric handheld paint sprayers on the market is the Graco 16N673 TrueCoat Pro II Electric Paint Sprayer. You can use this for a variety of coatings such as stains, heavy latex or even acrylics. Operating under the same portability concept as the electric handheld paint sprayer, the battery operated version is also capable of tackling those smaller projects you may have. The difference with these is that you won’t have to worry about being near a power source to complete your task, just be sure that the battery is charged. The best Graco version to purchase would be the Graco Ultra Cordless Airless Handheld Paint Sprayer 17M363. It is powered by DEWALT XR Lithium Ion System to provide you with a long-lasting charge. A commercial paint sprayer is geared more towards the contractor or professional painter. It is designed to withstand many hours of usage and is generally more than a typical home user would need. They are also generally heavier than a normal paint sprayer, although Graco does put some of them on wheels to make the sprayers more portable. A few of the commercial-grade paint sprayers that are available now are the Graco 390 Electric Airless Paint Sprayer and the Graco 17G177 Magnum ProX17 Stand Paint Sprayer. Overall, the best choice according to the reviews would be the Graco 17G180 Magnum ProX19 Cart Paint Sprayer. When you are looking to complete a painting job, you are left with three options: brushes, rollers or paint sprayers. While brushes are good for small areas, it can often take a lot of time to complete a painting task. Paint rollers are capable of laying thick coats at a time, but sometimes the paint doesn’t apply evenly. That leaves you with the paint sprayer option. A paint sprayer is good for many tasks. 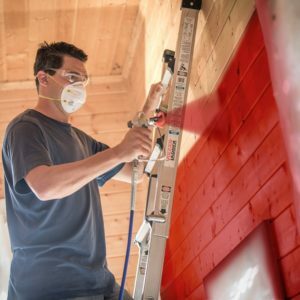 Here are a few reasons you’ll want to use the paint sprayer. You can apply an even coat of paint. Override any surface imperfections such as bumps, cracks, and gaps that would otherwise be an issue with your roller or brush. Completes exterior jobs in a flash. Now before you run out and grab that paint sprayer, how about a quick look at the downside of paint sprayers. You will need to cover everything near the paint job to ensure it doesn’t get accidentally sprayed. You will have more prep work and cleanup than its worth if you are looking to complete just a small project. The exception to this is with a Graco paint sprayer, you have the option to hook your hose directly into most units for a quicker cleanup. 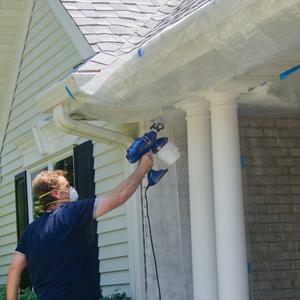 After reviewing these lists, we can see that the best things to use your Graco paint sprayer on would be larger projects. They would save a great use of time when used on outdoor projects such as your siding, garage doors, decks, and fences. When working indoors, you could use the paint sprayer on items such as ceilings, cabinets, furniture, and doors. If you are only working on a very small piece of furniture, it might be more cost-effective and time-saving to get out that paint brush instead. When browsing through the various Graco paint sprayers you will see mainly positive feedback and high recommendations. That doesn’t mean that there aren’t things to consider. Let’s take a quick look at the overall pros and cons of Graco paint sprayers. The Graco paint sprayers can be used for a multitude of jobs, either inside or outside. They are also relatively economical if used frequently. Compared to other brands on the market, most Graco models are lightweight and easy to hold. They feature adjustable control knobs for choosing the exact pressure. In addition, you will find that they are easy to clean and maintain. With most Graco models, you won’t need to thin the materials before use. You can easily achieve a fine finish on most any surface. The Graco brand of paint sprayers is made to be durable and last for many years. Unlike a cheaper brand, you won’t find yourself replacing the sprayer after a few uses. You can expect that any of these paint sprayers will be with you on many projects to come. As with any paint sprayers, you may face some overspray. This is when some paint blows in the air instead of landing on the intended surface. Because of this, you’ll want to ensure that all plants and furniture nearby are covered and protected before you start painting. Some of the Graco paint sprayers are only intended for small jobs, such as the Magnum X5. You will want to be aware of this before making a purchase. In addition, cordless paint sprayers will only last as long as the batteries. For that reason, it will be imperative to purchase a sprayer that features a quality battery. Finally, to keep the Graco paint sprayer working at optimal conditions, you’ll want to be sure it is thoroughly cleaned after each use. Otherwise, you could have issues with clogging the next time you try to paint. Most of the Graco models make this easy by offering the option to hook your garden hose into the unit and flush water through. This is something that isn’t available with most other brands. After reading all the Graco paint sprayer reviews that have been offered, which sprayer are you going to be choosing to complete your jobs? There is a model available for whatever your purposes. With the Graco name behind the paint sprayer, you know it will provide a superior finish. The only problem you will have is deciding which project to complete first.